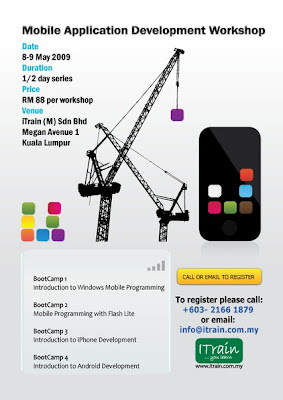 For those who interested in knowing more about Mobile application Development, you can consider to attend the workshop organize by iTrain. Each workshop is 1/2 day long and costs RM88. Attendees to bring own laptops. Software installation to be advised later.